In 2008, Poole Grammar School was selected as a flagship school as part of the Food For Life Partnership (FFLP). 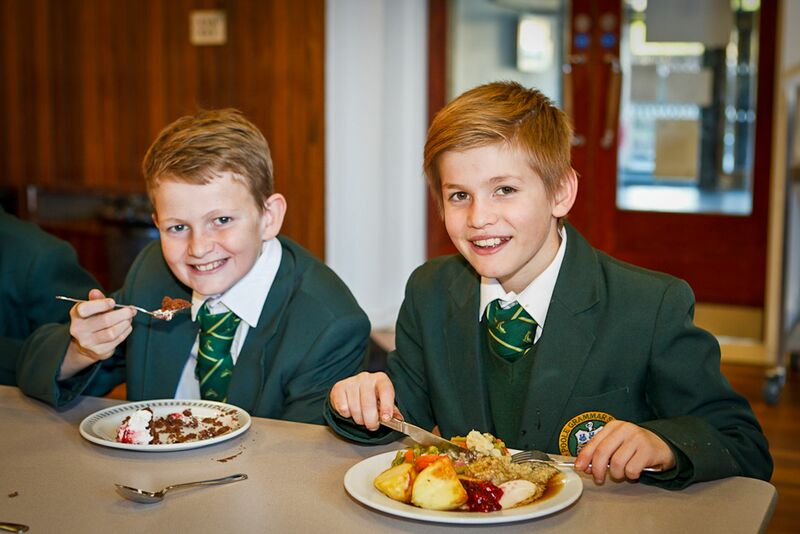 The initiative promotes healthy eating for pupils, sustainable food sourcing, higher organic content menus, reducing food miles, and embedding a healthy food culture in the curriculum to compliment our food technology and sciences teaching. By meeting demanding FFLP criteria on food sourcing and quality, growing and cookery clubs, pupil, staff and community involvement Poole Grammar obtained the bronze award in 2009, silver in 2011 and gold in June 2014. We now have ambassador status. We use free range eggs, organic flour to bake our bread, MSC certified fish, freedom food certified products, make our own honey, and grow our own fruit, vegetables and herbs. We host and celebrate a number of events during the school calendar such as International Mother Languages day, Christmas and Chinese New Year celebrations, Roast Dinner Days. Lunch menus are themed accordingly. We trialled a gold standard menu (high proportions of local and organic produce) as part of our Green Weeks since May 2012 and have developed links with Rempstone Farm (organic farm) in the Purbecks which have hosted numerous farm visits. Click here for their website. Other strong community links have been developed, including Waitrose (Wimborne) and their Leckford Farm in Hampshire. All this supported our gold award submission. All new pupils joining Poole Grammar are given a plant that has been prepared and nurtured by the year group above them. They are invited to grow these over the Summer holidays and submit a linked recipe as part of a competition each Autumn term. We also provide guidance written by our pupils on healthy lunchboxes. Click here for the latest from our Food For Life Ambassador. We regularly appoint Food for Life Ambassadors to act as role models to promote healthy eating. The hard work of our catering team lead by Chris Watson, our enthusiastic gardening club, bee keeping and cooking clubs, our Food For Life and Green Committee pupil committees, and unstinting support from staff and the Governing body has driven the improvements in our food culture. In 2011, Chris Watson won the NASBM Catering Worker of the Year award, and in 2012 Poole Grammar was shortlisted as one of 5 schools nationally selected for the Times Education Supplement Schools Awards for Healthy Eating. In 2016 Chris Watson was shortlisted in the BBC Food and Farming Awards for Cook of the Year. All these achievements have led to local schools knocking on our door to be supplied with healthy school meals, sharing of gardening clubs and healthy eating expertise. Our endeavours attracted the interest of the local health authority who met with staff and pupils to see what we do and what healthy eating measures could be introduced more widely across Bournemouth and Poole local authorities. For examples of our lunchtime menus, click here. Fairtrade Work As an extension of our Food for Life work, we have embraced the Fairtrade philosophy. We regularly source a range of products with Fairtrade accreditation. 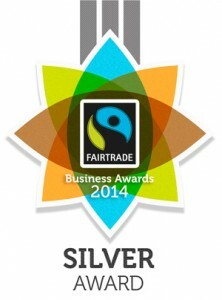 In 2012/2013, we were awarded a bronze Fairtrade retailer award at the South West Fairtrade business awards. Since then, with a new Fairtrade drinks vending machine and new contemporary Fairtrade uniform for the catering staff planned, we have gained the silver award. We have also been working in collaboration with the Borough to enable Poole to be registered as a Fairtrade town.